Properties added into the system are not automatically displayed online. This is as a preventive measure in case you haven't finished to edit them or if pictures are missing. You might also want to only show some on a website but not on another. If you want to display a property on the website, select your website under Websites, then go to Properties display. There is a list of all properties available (in order of creation). They are marked as "Excluded" under Ordrer by default, meaning not visible online. To display a property pick an order in the dropdown menu. It is in that order that properties will appear in the search pages, giving you more control over what properties will be seen first. Useful to move up under-performing rentals or tailoring to different markets. For example, Email templates are auto-filled with info pulled directly from the property fields. 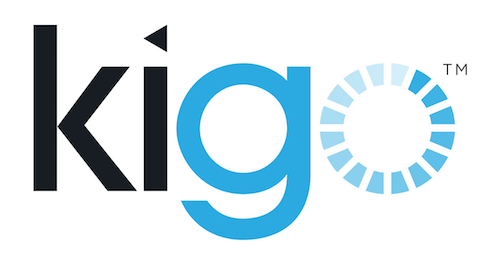 It also means that Kigo's strength resides in its capacity to allow almost any property information to be immediately displayed online. Info is copied over to the website in a one-way synchronization. To start creating a property template go to Websites > website URL > Properties display > Property templates. There are some default options that probably don't need to be changed. The first template created is the default one and automatically applied to new properties. When the price for the stay can't be calculated on the website (no dates entered, Rent calculation not filled-in, etc.) an alternative price is displayed instead. It is filled-in in the Display rate field in Setup > Properties and shown in the search and property pages. Add an attributes and re-order it as you wish. Choose a Name that will be displayed next to the Value. From the example below the Name is "Size" and the value is pulled from the Property and displayed as "400 m2". You can also add a title to a group of attributes. Property information: Full property description, Area description, Amenities (as a list), etc. User defined attributes are either displayed as text or HTML. To use a Google map on the website for example, add a Map UDPA as HTML. Leave the fields untouched if you want to edit the tags directly in each property under Properties display or pick a Single-line text UDPA. We advise to create new dedicated UDPA for Browser window titles and Meta descriptions (you can leave Keywords empty since they're not very useful anymore). We advise to setup Search results pages and Basic pages the same way since we want the same info to be displayed on both pages. A Basic page is like a Search result pages but customizable, for example to create area pages with list of properties. In the Search page you can add a Property description (we advise selecting Short property description) and attributes like in the Property page. Apply the newly created Property template to all properties by going back to Properties display and using the dropdown in the top right corner. If a field is only meant to be shown in some properties, to avoid having the Name visible online with no corresponding Value you don't necessarily need to create a second template. In the HTML code a class is added when fields are empty which allows you to hide them in CSS. If you do decide to create multiple templates, you can individually apply a template by editing a property in Properties display.